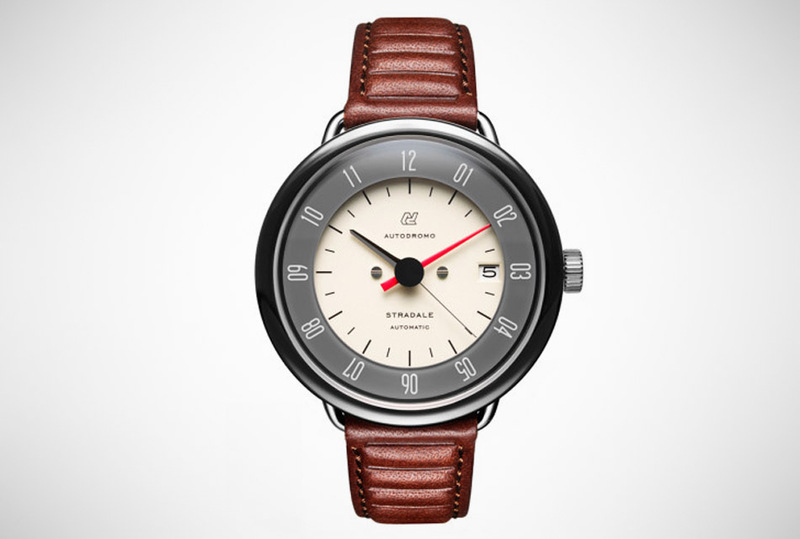 The Autodromo Stradale draws inspiration from dashboard instruments from Italian sports berlinettas of the late 1950s and early 1960s, the era of Gran Turismo. Stradale, meaning “road going” in Italian, features a fascinating multi-layered dial beneath its domed sapphire crystal – its hour indexes applied to a transparent glass ring that floats over another colored dial below for a 3-dimensional effect. Available in three colors, a custom designed leather strap completes this timepiece’s gorgeous look, beautifully finished and displayed behind a sapphire exhibition caseback.